The Holy Father Pope Francis has today, 12 September 2016, accepted the resignation of Bishop Gerard Hanna as the fifth Bishop of Wagga Wagga due to health reasons. Archbishop Christopher Prowse, Archbishop of Canberra-Goulburn, has been appointed Apostolic Administrator of the Diocese of Wagga Wagga. On 9 December 1968, Bishop Hanna was ordained a Priest of the Diocese of Armidale. 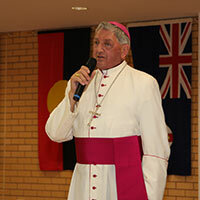 He was appointed Bishop of Wagga Wagga on 5 February 2002 at the age of 60. Bishop Hanna will turn 75 years old on 22 December this year. This entry was posted in Bishops, Pope Francis and tagged Bishop resignation on September 14, 2016 by ACBC Communications. As more and more Australians are living longer, we should celebrate the great ‘success story’ of our ageing population and, as a fair and compassionate nation, foster solidarity among all generations, Bishop Antoine-Charbel Tarabay from the Australian Catholic Social Justice Council said today. 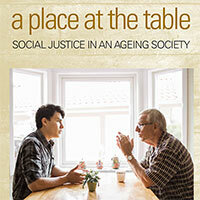 Bishop Tarabay was speaking at the launch of the Australian Catholic Bishops 2016-2017 Social Justice Statement, entitled ‘A Place at the Table: Social justice in an ageing society’. 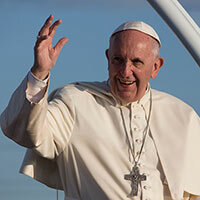 This entry was posted in ACBC agency news, Bishops, Pope Francis, Special interest and tagged Aged-care sectors, Ageism, Australian Catholic Social Justice Statement, Community, Elderly on September 14, 2016 by ACBC Communications. 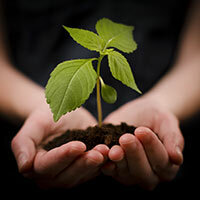 United with our Orthodox brothers and sisters, and with the support of other Churches and Christian communities, the Catholic Church today marks the “World Day of Prayer for the Care of Creation”. It is most encouraging that concern for the future of our planet is shared by the Churches and Christian communities, together with other religions. 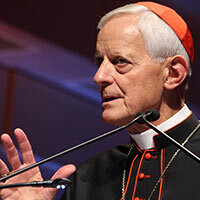 Indeed, in past decades numerous efforts have been made by religious leaders and organisations to call public attention to the dangers of an irresponsible exploitation of our planet. This entry was posted in Pope Francis, Special interest and tagged Environment, Laudato Si', World day of prayer for creation on September 1, 2016 by ACBC Communications. ‘The Holy Father asks you kindly to convey his cordial greetings to all assembled in the Diocese of Broken Bay for the third National Conference on Evangelization, Proclaim 2016,’ Cardinal Pietro Parolin, Vatican Secretary of State wrote a message to the Most Reverend Peter Comensoli, Bishop of Broken Bay. Pope Francis trusts that ‘in this Holy Year devoted to the preaching and practice of mercy, the Conference will contribute to a more effective proclamation of the Gospel message of forgiveness, redemption and interior renewal’. 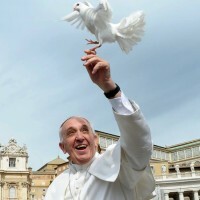 This entry was posted in Pope Francis, Special interest and tagged Evangelisation, Parish renewal, Pope Francis, PROCLAIM2016 on September 1, 2016 by ACBC Communications. At the end of her powerful and moving witness, Rand asked something of us. She said: “I earnestly ask you to pray for my beloved country”. Her story, involving war, grief and loss, ended with a request for prayers. Is there a better way for us to begin our vigil than by praying? This entry was posted in Pope Francis, Special interest, World Youth Day and tagged Faith, Hope, Pope Francis, Sofa happiness, World Youth Day, Young People on August 30, 2016 by ACBC Communications.